Observation - Blackbird on snowy ground - UK and Ireland. Description: A male blackbird on snowy ground at edge of lake. 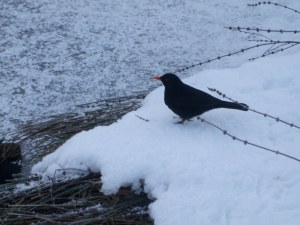 A male blackbird on snowy ground at edge of lake.